Infineon Qimonda - HYS72T256420HFN-3S-A - DDR2 SDRAM - 2 GB - 240-pin"
Elpida manufactures memory modules for a wide range of computer systems. 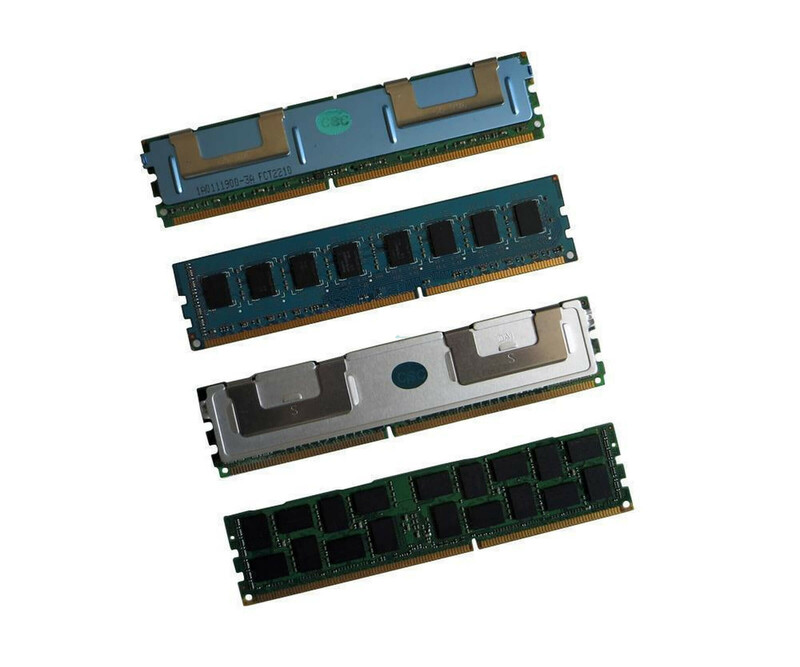 The 2GB DDR2 module EBE21FE8ACFT-6E-E is primarily aimed at professional devices, because it provides various features for increased reliability. In addition, this memory not only provides a cost-effective, but also a simple upgrade. Equally, it is of course suitable for repairs. Most of the power is, of course, expected from the 2 GB DDR2 SDRAM of the Elpida EBE21FE8ACFT-6EE. However, this storage technology is also an important compatability feature. The ECC function must also be supported by the target system. Before you buy, make sure that your server or workstation can use such storage modules. With the further characteristics, the clock frequency of a maximum of 667 MHz is particularly interesting. If necessary, the Elpida EBE21FE8ACFT-6E-E 2 GB DDR2 ECC RAM but also an automatic adjustment can be made to ensure the perfect use nevertheless. The manufacturer also considers the latency with CL5. Due to the easy procedure when using the Elpida EBE21FE8ACFT-6E-E 2 GB DDR2 ECC memory, the entire process is usually done quickly. Simply insert the DIMM module in the corresponding slot on the main board and the initialization will be done automatically the next time you start. Additional configurations and installations are usually not necessary.